If you encounter problems, contact FlowJo, LLC Tech Support at seqgeq@flowjo.com. 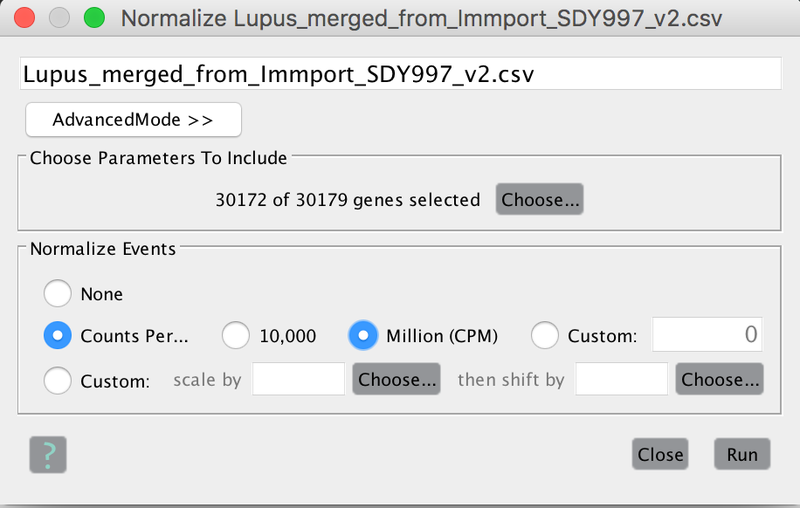 Normalization is an important consideration for any analysis, and is common to include in many sequencing datasets. 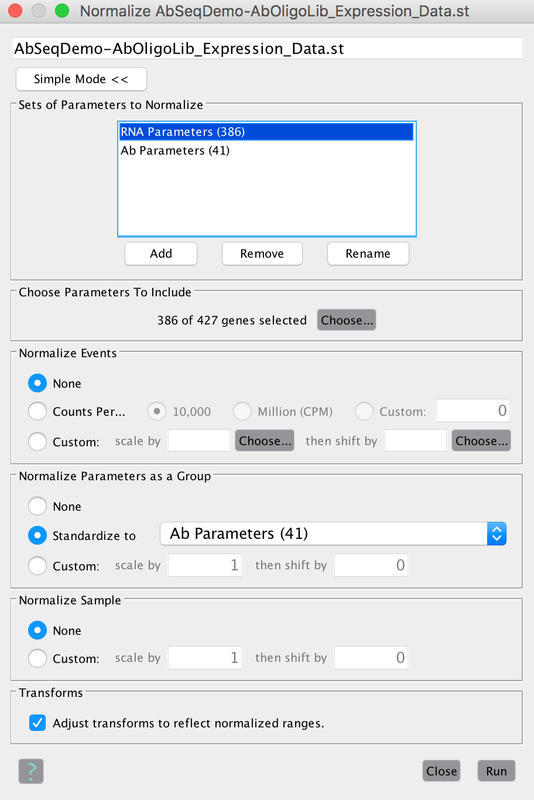 Each parameter list added to the normalization platform will be normalized in the order of those parameter listed. 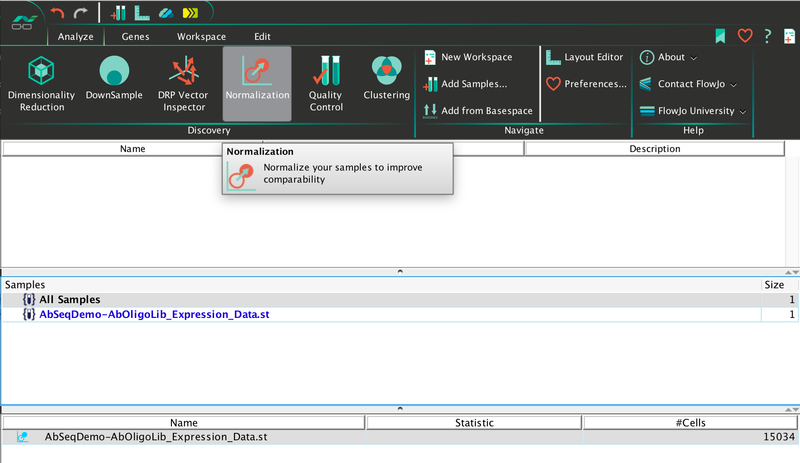 And only one normalization can be applied to a given parameter per sample/workspace. 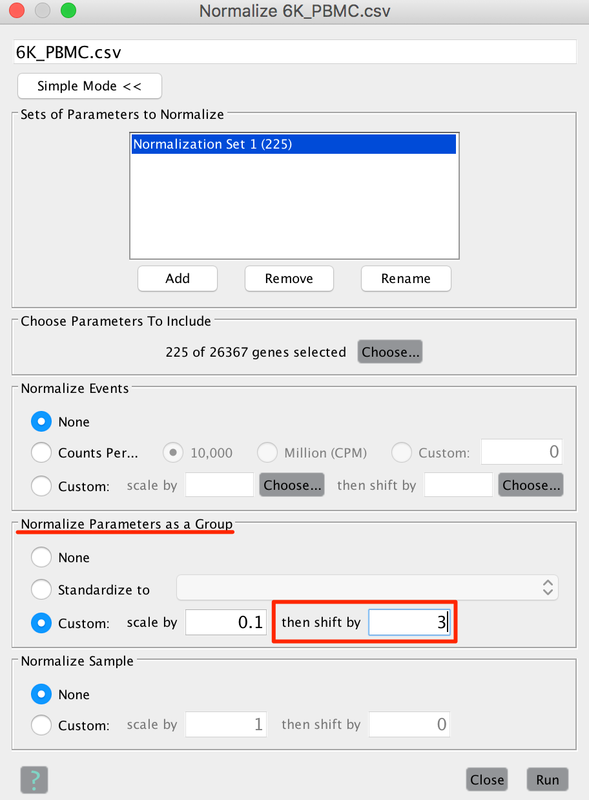 In other words parameters included in two parameter lists will only be normalized in the first list. If you leave the default parameter list for all parameters non-normalized prior to defining other parameter lists then the secondary list will be ignored (by definition). 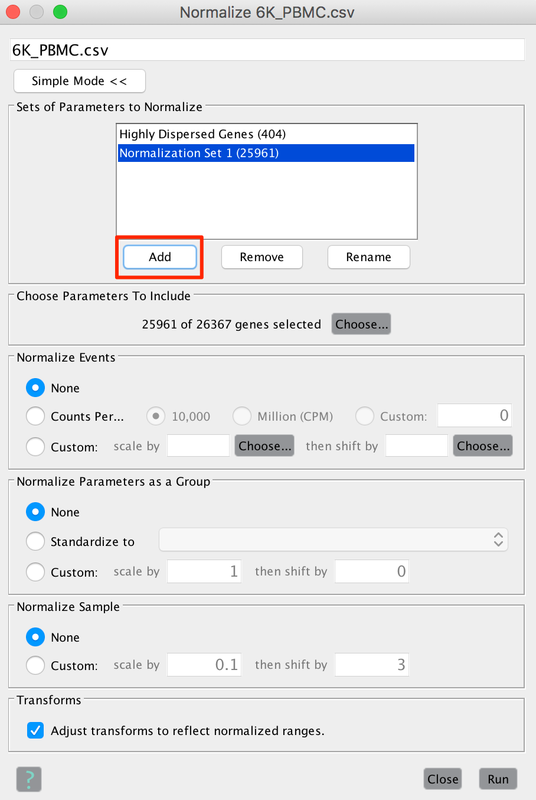 Note: Certain types of normalization that eliminate ‘Zero’ values from the data matrix will have a performance impact on certain calculations (such as PCA). Before (left) and After CPM Normalization, above. 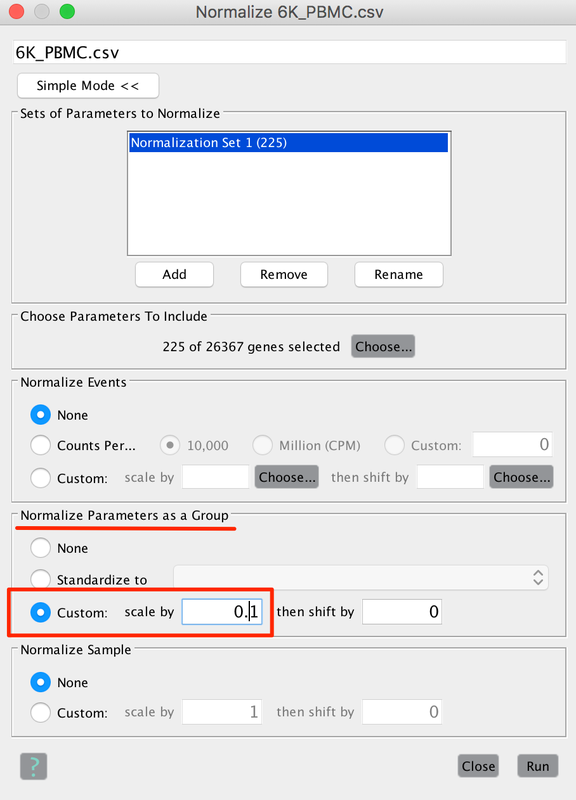 Normalization based on a parameter is meant to be used for analyses that contain a custom derived parameter which attributes normalization factors per cell (usually generated in R or other third party software). 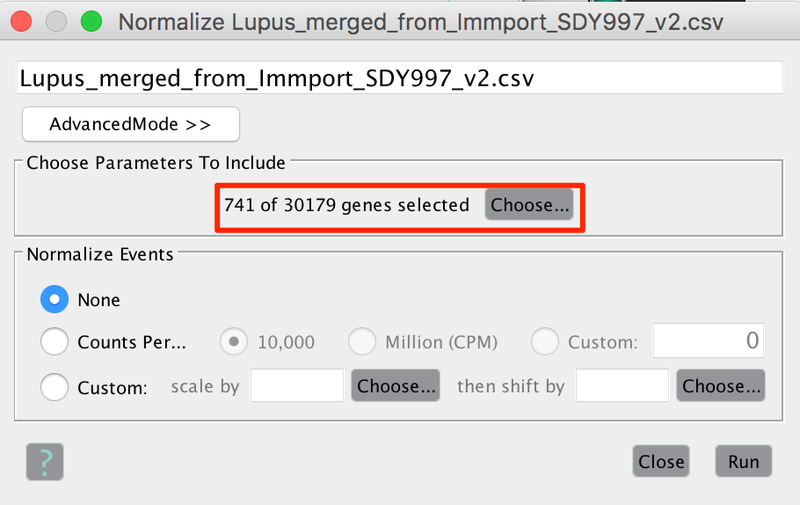 We don’t generally recommend using this feature to normalize parameters based on a non-derived feature, though in some cases this could be useful (normalization to housekeeping genes for example). 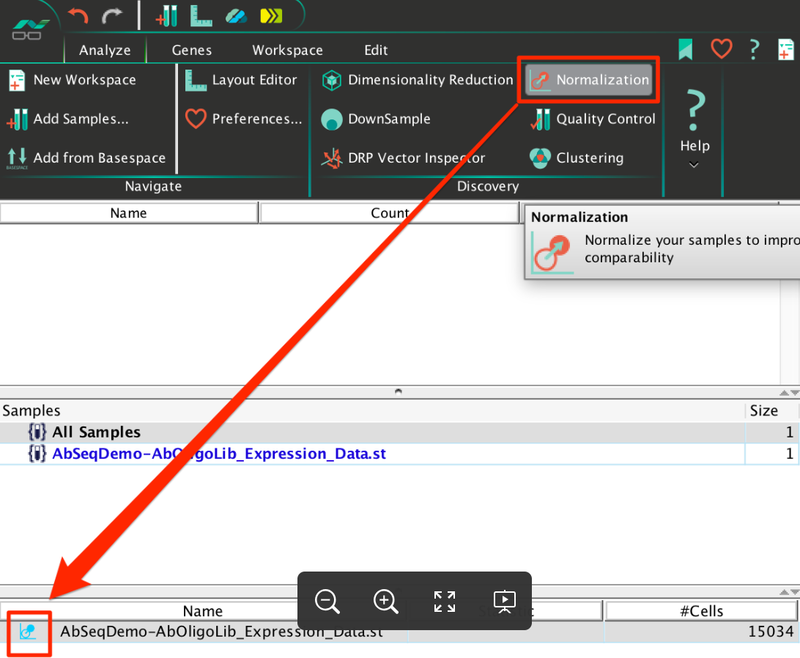 The advanced features within this platform allow for greater control and nuance in the way parameter-sets are treated with regard to normalization. 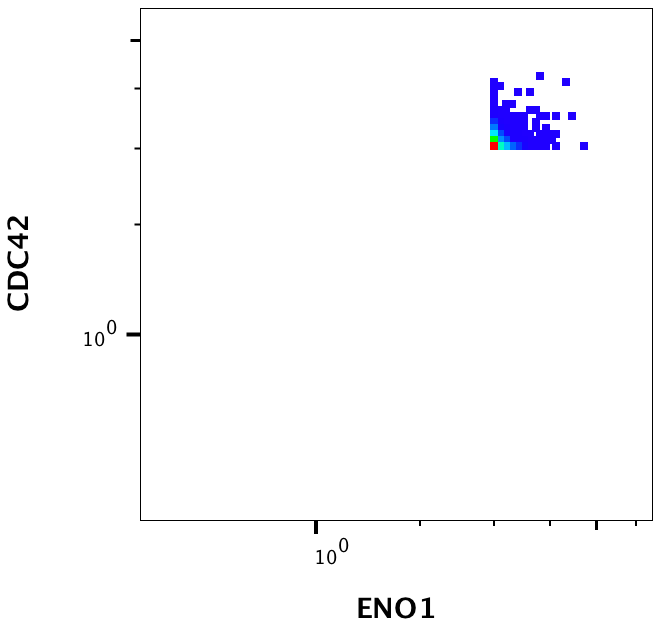 Before (left) and After normalization to antibody parameters. Before (left) and After re-scale parameters by factor of 0.1.